A showcase of a working mum's creations in her little kitchen. I love Baymax. This big marshmallow looking robot that is a gentle giant with a loving heart. What caught me by surprise is how much the girls love this show as much (if not more) as the boys. My own kids were swooning (yes the older one was literally swooning) over Tadashi and squealing in delight over Baymax. 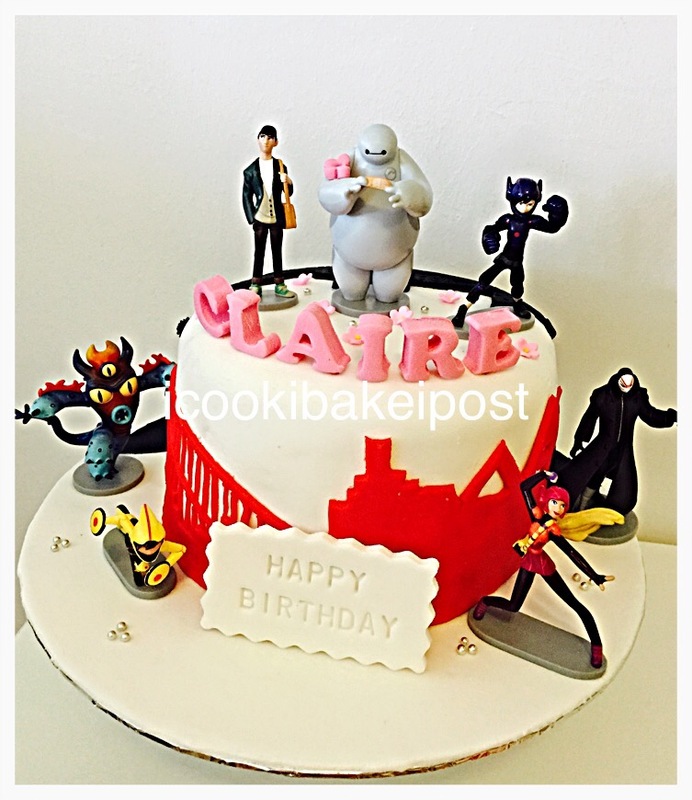 So it came as no surprise when a soon to be 6 yr old girl requested for a BH6 cake. Made a 3-layer checkered cake (wanted to do 4 layers but it was getting very tall and I don’t want the figurines to topple over), crumbcoated with vanilla buttercream. 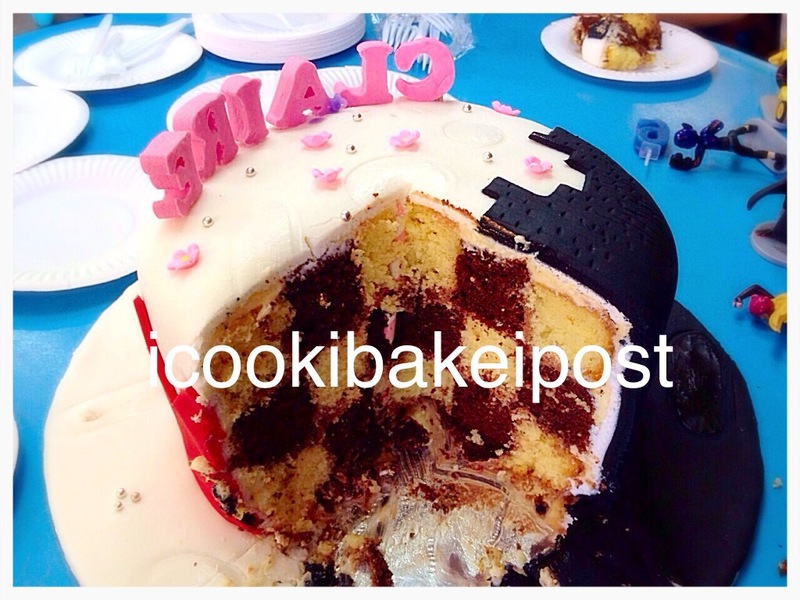 In between layers are coated with choc buttercream. Covered in fondant. Figurines supplied by the little girl’s mummy. Backdrop of SanFrantokyo with microbots creeping in from behind. 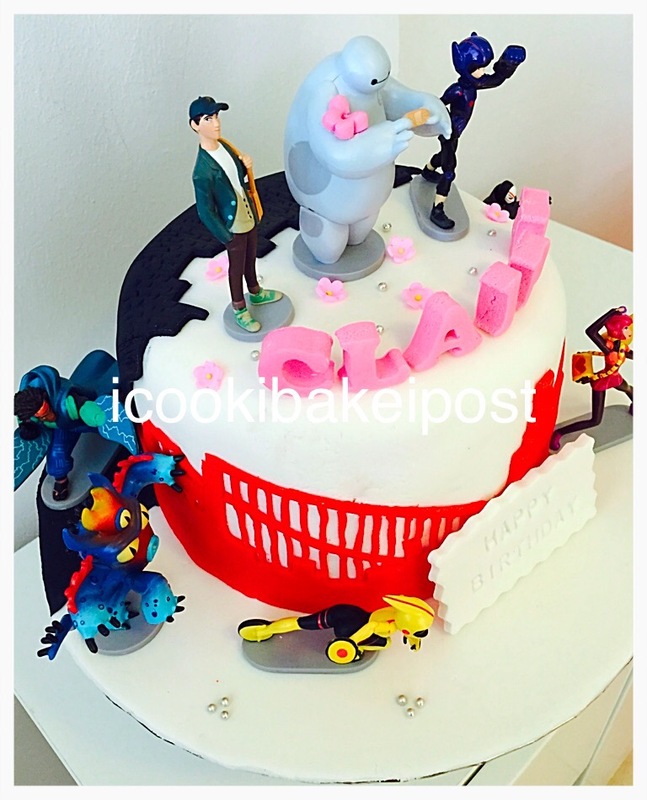 Added a little fondant butterfly on Baymax’s hand. There was this scene in the movie where he was gentle to a butterfly in the middle of his karate practice. The only picture of the cross-section that I have.